Dr. 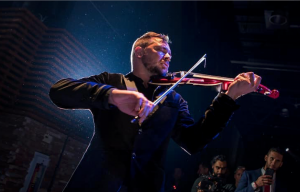 Draw is known as the first violinist to venture from rock and classical into electronic music culture. His style is difficult to describe as his history with music and culture spans an eccentric lifetime. From playing for royalty in Prague to creating near chaos at the Toronto Beaches Jazz Festival to playing luxury brand events like Chloé and Dom Pérignon, Dr. Draw inspires kudos wherever he plays. Lately, his reputation is growing eastward. Performances have included playing in Singapore, Taiwan, Sri Lanka, and a spate of Louis Vuitton events in Hong Kong, Malaysia, and South Korea. Performing in such frenetic locales energizes the performer time and time again, allowing him to repeatedly “creatively interact with cultures all across the world.”The result is a constantly evolving musical style that brings together the seemingly disparate elements of classical violin, jazz-rock fusion, folk, and pop into a riveting masala that feeds the soul and invigorates audiences. Peter Minaki is BACK to create a savoury, delicious menu taking Greek food to another level! Peter currently hosts and cooks for the “Kalofagas Greek Supper Club” – these monthly supper clubs are casual and intimate gatherings that feature regional Greek food and wines. The supper club has proved to be popular with both Greeks and people who just want to be Greek for a night! 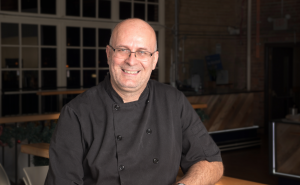 Peter teaches Greek cooking classes, does private catering and pop-ups at venues around Toronto such as the Toronto Underground Market, Toronto Harbourfront and local restaurants. 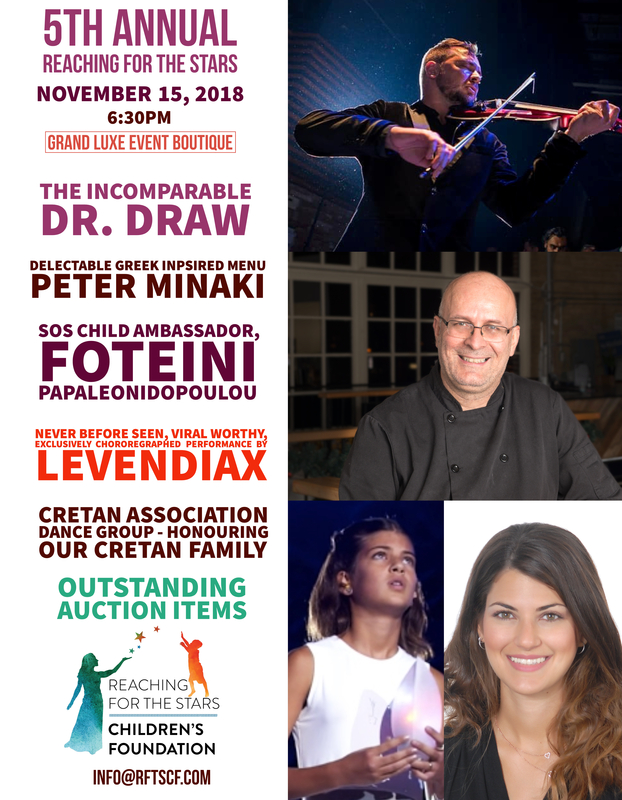 The one and only, Peter Minaki – Kalofagas – Greek Food & Beyond – has become a pillar of our annual Reaching for the Stars event. Peter created the menu for the inaugural event in 2014, has been a avid supporter and has taken the time to visit the children in Greece that we support. He is part of our family and we are happy to share that he will once again create a phenomenal menu at the 5th Annual Reaching for the Stars. 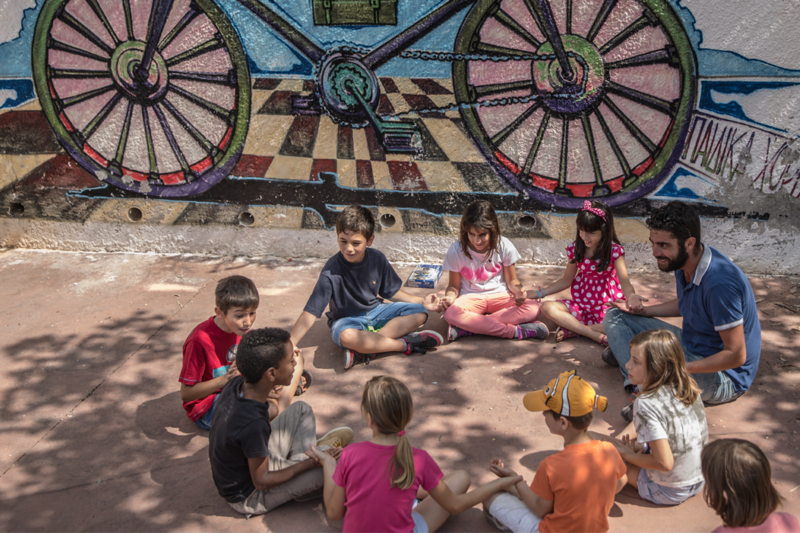 His passion to share his gift of cooking, love for Greece and commitment to this cause exemplify PHILOTIMO. We are humbled to have him back!